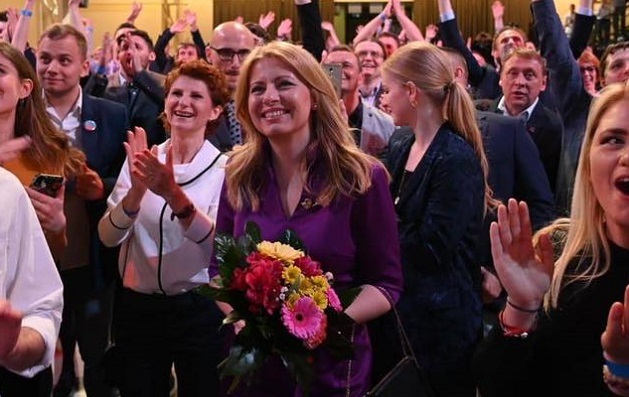 Zuzana Caputova won the second round of Slovakia’s Presidential election on Sunday, with 58% of the vote. Caputova, a lawyer, has no experience in institutional politics, and gained strong social support as she helped lead the protests against the government in 2018 after a journalist investigating high-profile corruption and his fiancée were murdered. The candidate first became well-known as she led a case against an illegal landfill lasting 14 years. The next head of state is known for her pro-environment views and for supporting Slovakia’s membership of the European Union. Caputova said she will make the fight against corruption a priority. She also strongly supportes LGBT marriage and adoption. “It is possible not to succumb to populism, to tell the truth, to raise interest without aggressive vocabulary”, she said as she addressed supporters on Sunday 31 March. Caputova defeated Maros Sefcovic, - an experienced diplomat and EU senior official - candidate of the ruling party in government Smer-SD, who received 42% of the vote. Evangelical Christians joined the movement “for a decent Slovakia” in 2018. “I believe that Christians have been called to shed light on what is wrong with the system”, a Slovak Christian then told Evangelical Focus in an interview.